ST. LOUIS (KTVI) – You’re paying for other people to steal and it`s costing billions. Now a retired police major thinks he has a unique way to fight it, facial recognition technology that could help store managers stop shoplifters with a smile. He says shoplifters jump from store to store, so shop owners and managers help each other, sometimes passing around pictures of potential suspects. Shoplifters are getting bolder, like an October incident that turned into an assault when a suspect plowed over an 87-year-old nun. Security video showed him running out the door of a sporting goods store with stolen clothing. Reported shoplifters at West County Center drove onto a sidewalk in January, before police shot into the vehicle. 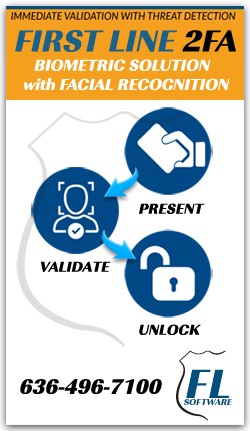 Spiess is now a senior partner with Blue Line Technology, using facial recognition software to help police and businesses who need to track potential threats. Spiess says the facial recognition for retailers would work best as a shared network, where multiple stores can enter information on shoplifters. It’s similar to the way Chris Thau described retailers passing around pictures of possible shoplifters. It also can help businesses wanting to prevent workplace violence, by looking for possible disgruntled former employees or ex-boyfriends/girlfriends who might face restraining orders from employees.